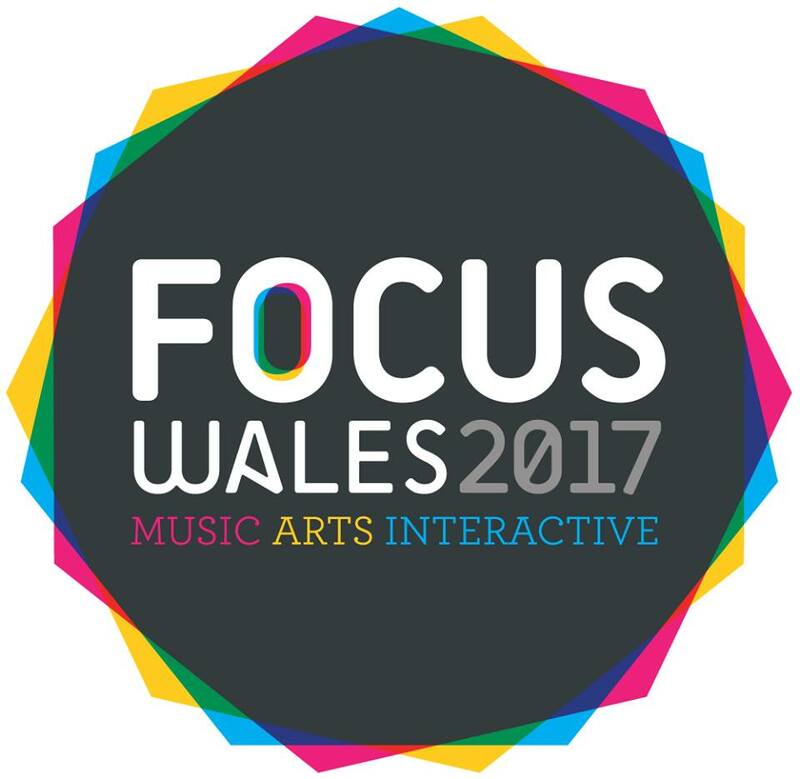 Focus Wales takes place this week from Thursday 11th through to Saturday the 13th of May at multiple venues in Wrexham, North Wales. Now in its 7th year, FW is an annual multi-venue festival that boasts a crammed schedule of 200+ Musical artists, Interactive Industry Sessions, Stand-up Comedy, Arts events, Spoken word and Film screenings, throughout the festival. Welcoming over 7,000 people to the town, this year revellers at venues including Central Station and the picturesque St Giles’ Church will bare witness to the likes of British Sea Power who will be joined by some of the most exciting new and established Welsh and international artists, including Islet, John Bramwell, CaStLeS and Don Letts. Don will be taking part in a Keynote discussion at 4pm on Thursday 11th May, and later that night will be doing a DJ set at the Central Station venue. One of the best stages at any Focus Wales are events at the picturesque St Giles’ Church, an awe-inspiring setting that will be graced by the presence of previous Welsh Music Prize winner Georgia Ruth. Whose recent album widened the horizons on her haunted, multi-instrumental sound, watch Georgia at the Church on Friday at 9pm. Recently signed to Sony records, Cardiff collective Astroid Boys whose work has been reflecting the multi-culture of Cardiff’s C10 postcode. Recent single Foreigners takes a downtempo beat, that sounds like car alarms going off and allows each member to scatter brutally honest bars that hold up a mirror to themes like gun crime, police corruption, the Muslim Ban and Brexit. Grime, hip-hop, punk and street poetry whatever it is they are a riotous live presence catch them at the Central station at 11.15pm. This year GIITTV is chuffed to have its own stage at the Rock suite venue on Friday the 12th of May, boasting a headlining turn from My Name is Ian and Northwalian noise popsters Heldinki. The lineup’s heart is filled with two Scottish bands. Meursault is Neil Pennycook’s solo project. The new album, I Will Kill Again, came out in Feb 2017. A heart swellingly beautiful record full of bruised and elegantly bristling instrumentation, their songs have the potential to reduce grown men to tears watch them at 8.15pm. A new act on the Song by Toad roster Lush Purr are the successors of a Glasgow band The Yawns. They’ve just released their debut album of lo -fi noise pop injected with off-kilter rhythms and unique vocals, it sounds like it’s all about to fall apart at any second yet it somehow doesn’t. Fauna Twin are Parisienne singer Claire Jacquemard and Welsh guitarist/producer Owain Ginsberg (of post-punk band Hippies Vs. Ghosts + We are Animal). Dramatic, evocative and mysterious, Fauna Twin’s exquisite shapeshifting sound is sure to intrigue and delights at the Oriel Wrecsam on Friday 12th May, 9.30pm. Over in the Um Deg Un stage, SFA offshoot GULP will be weaving spells with their brand of gorgeously shimmering psych pop, ‘Search For Love’ is the kind of entrancing sound that will embrace you as you enter at 10.20pm, they are promising some very special guests too. Chester trio Peaness have been carving a niche for themselves since the release of their ace garage-pop debut EP No Fun 18 months ago. Spiky, witty, smart and smeared in personality, it exhibited a girl gang with the tunes and chops to back it up. They followed this up with the melodic toe kick in George Osbourne’s nuts ‘Oh George‘, catch them at 6.3pm in the Central station, where you will no doubt be grinning ear to ear. Shape stalwarts Islet are one of the best live acts I’ve ever witnessed; I don’t say this to be hyperbolic, their shape-shifting experiments in noise, sound and melody are at times bracing at others utterly bewildering but always inspiring and intrepid. I beg of you to witness them Saturday at 11.45pm on the Um Deg Un stage on the final evening of the festival. Bringing the events to a close at the Central Station on Saturday 13th May, at 10:00 PM are British Sea Power. Backing their recent album ‘Let The Dancers Inherit The Party’, guitarist Martin Noble says of the album: “It was made to a background of politicians perfecting the art of unabashed lying, of social media echo chambers, of click-bait and electronic Tonka Toys to keep us entertained and befuddled. All this can easily make the individual feel futile.” British Sea Power offer a brave and bold commonality to a sound that harks back to a time when guitar acts addressed grand themes, ‘Bad Bohemian’ is a sweeping New Orderish reassertion of their trademark sounds and themes.